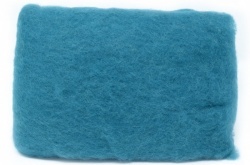 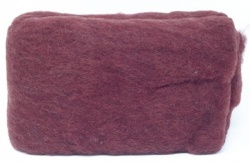 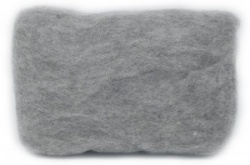 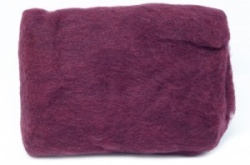 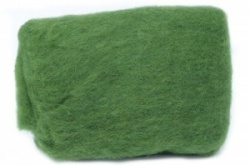 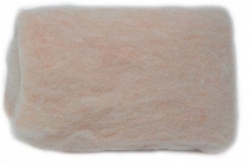 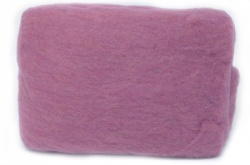 The Carded Wool Batts are a blend of Scandanavian wools produced to give a consistant quality. 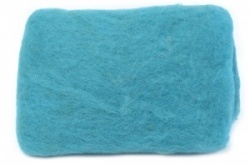 Micron count is around 32 to 34 micron. 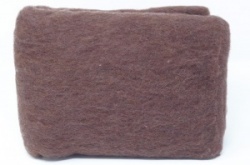 This gives a good hard wearing slightly springy handle to the fibre. 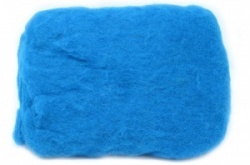 Its very good for 3D wet and needle felting. 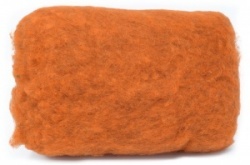 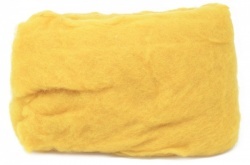 If you need a hard wearing wet felting wool for bags or slippers this will do the job. 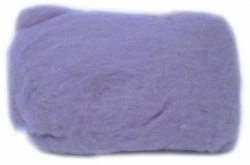 Hand spinners will find that a yarn made from this gives a good yarn suitable for harder wearing outer garments. 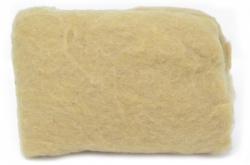 As this wool is produced from scoured fleeeces without any other processing it may contain a small amount of vegetable matter.